The human ear is a magnificent piece of machinery. It collects sounds from the environment and sends them to the brain for processing. Without the ability to hear, most people would find it difficult to survive in the modern world, which is why it’s important to protect your hearing. Every day, our ears are subjected to loud sounds, and the inner workings of the ears can become damaged. The problem is that many consumers don’t know that hearing damage can be caused by seemingly innocent products. A hair dryer is a great example. The market is filled with hair dryers that are loud enough to cause damage to your hearing. When you’re using these products to dry your hair, there is a good chance that you’re not thinking about protecting your ability to hear, and since the blow dryer must be used very close to your ears, the internal components of your ear might become damaged. If you’d like to protect your hearing, you can get a quiet hair dryer. With hundreds of different products to choose from, you need to know what to look for. When shopping for a quiet hair dryer, the decibel rating is very important, but you won’t be able to find a rating on every product. Most blow dryers that have a decibel rating of less than 85 should be safe for your hearing, but if you want one of the quietest products available, check for products that have a decibel rating that is closer to 60. Since many products don’t give you a decibel rating, there is another way to gauge the sound of the device. The total wattage can be a good indicator and give you an idea of the level of sound produced by the product. A hair dryer with a lower wattage might take longer to dry your hair, but it will be safer for your hearing. There are several different technologies used by modern hair dryers. Some products run on ionic technology while others use tourmaline or ceramic. These three technologies are designed to make your hair shine, and they can protect it from excessive heat. A number of hair dryers are designed to use a single type of technology, but there are some products that use a combination of the three. If you’d like to purchase the quietest hair dryers, you’ll want to consider getting products that use ionic technology because it produces the smallest amount of noise. The ionic technology embedded within many modern blow dryers can save moisture, eliminate static and reduce frizz. It can even make your hair shiny, smooth and bouncy. The main purpose of ionic technology is to reduce the amount of time need to dry your hair. You’ll notice that many hair dryers use dual air flow, which increases airflow and results. 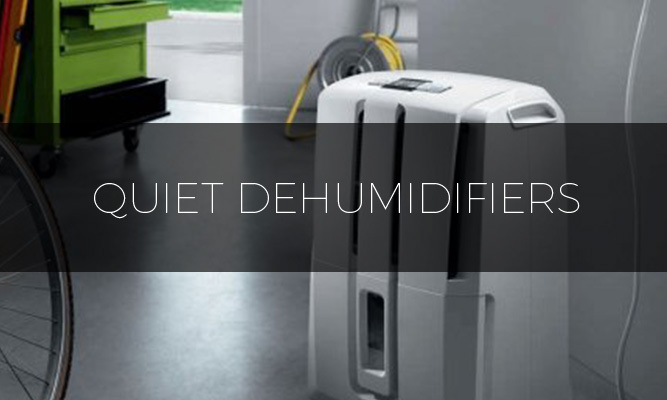 Since it uses a fixed space between the fan and body, this feature has the ability to reduce operation noise. 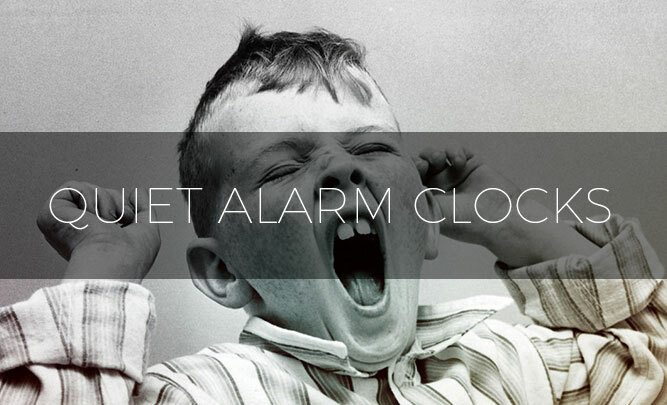 Before you decide on a particular product, consider the decibel noise level. A number of hair dryers on the market claim quiet operation, but you’ll find that many of these products aren’t truly quiet. Not too long ago, most hair dryers produced about 80 decibels of noise because the technology wasn’t very efficient. Today, you’ll find that most hair dryers operate with a decibel rating between 85 and 100. Unfortunately, 85 decibels is still quite loud, but a rating of 100 decibels is much worse and is what you will get if you buy some of the more powerful hair dryers on the market. Some of the best quiet hair dryers produce no more than 80 decibels of noise, and you can also find safe models in the 50 to 70 db range. The problem is that there is no requirement for manufacturers to give consumers a decibel rating, and if you constantly blow dry your hair, the excessive noise exposure can cause damage to your hearing. These are some other important settings to consider. 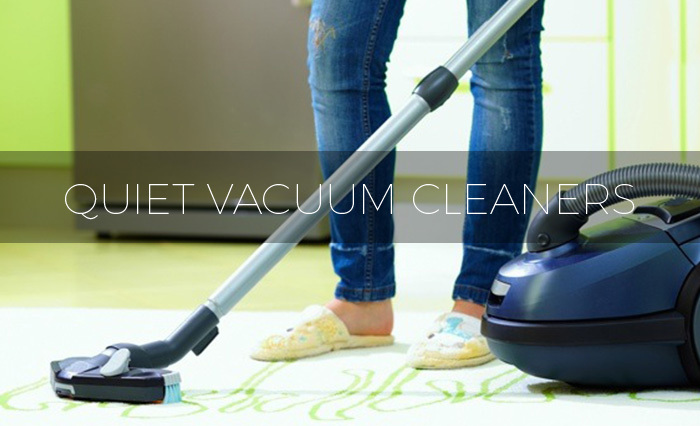 You’ll find that most quiet hair dryers fall within the range of 1,400 to 1,600 watts. However, there are several models that use 1,875 watts, and they’re just as quiet as the low-wattage models. To protect your hearing and get the most out of hair drying, make sure to check the speed and heat settings. When you have multiple settings to choose from, you have more control over the speed and noise. 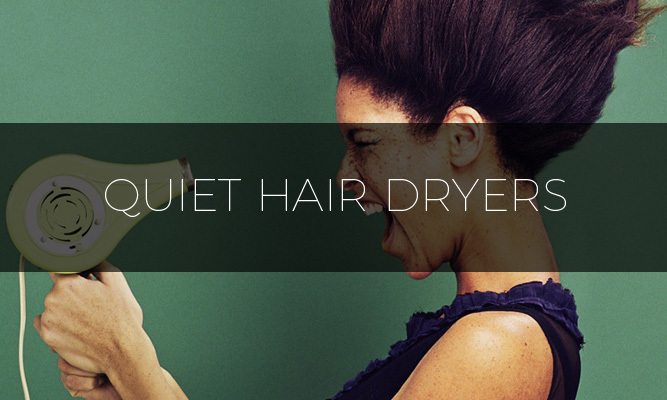 What Benefits Do Quiet Hair Dryers Offer? When your ears are subjected to loud noise over a prolonged period of time, it can cause damage to your hearing. A lot of people unknowingly damage their hearing with headphones, but hair dryers can have the same negative effect. Depending on the product, it might take you up to 30 minutes to finish drying your hair, and if the dryer is producing too much noise, there is a good chance that you’ll sustain damage to your hearing. 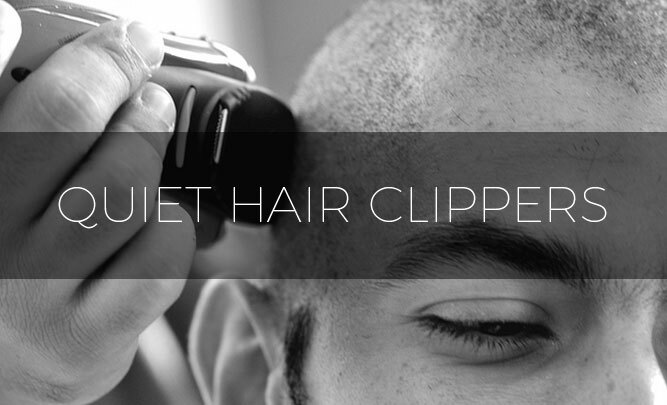 By choosing to purchase a quiet hair dryer, you can significantly decrease your risk for hearing loss. If you live with others, you can use a quiet blow dryer to avoid wakening up others. 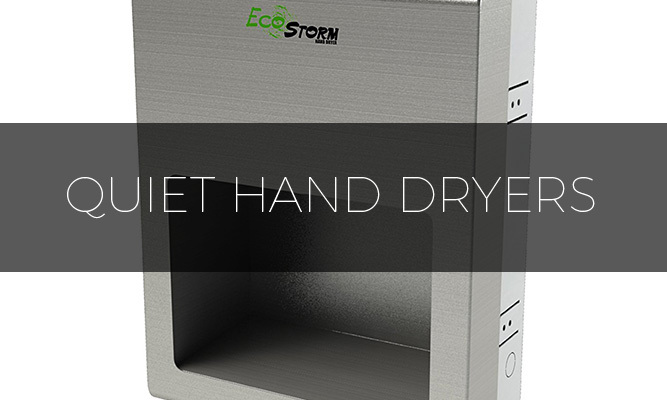 With a quiet dryer, you can even have a conversation with others while drying your hair. If you want to start your day in a peaceful, calm way, then consider getting a quiet blow dryer. Below, you’ll find reviews for some of the best quiet hair dryers on the market. In this quiet hair dryer guide, we have tried to review the hair dryers that are below the 85 decibel levels and review just how well they perform in our comprehensive tests. The Revlon Lightweight Quiet Pro is made with revolutionary technology, and it’s about 50 percent quieter than most competing hair dryers. The ionic technology is capable of giving you healthier hair, reduced frizz and faster drying. This particular model has two separate switches, which are used to control speed and heat. 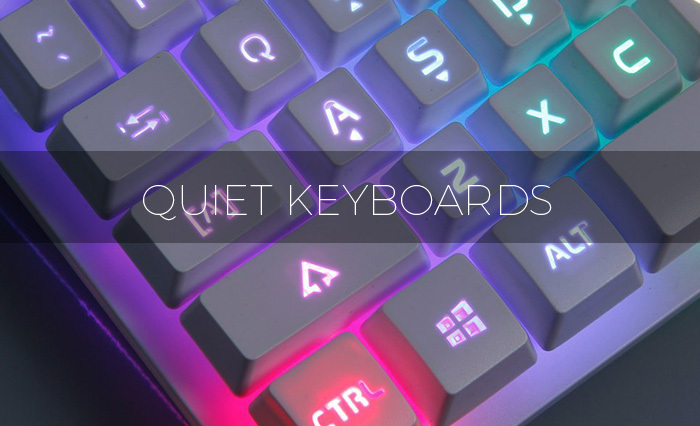 Each switch offers two different settings to choose from, and the Revlon Lightweight Quiet Pro even has a cold shot button, which uses a burst of cool air to help you lock a particular style. For easier styling, this hair dryer comes with a concentrator attachment. If you’re looking for a superior blow dryer and don’t want to deal with excessive noise, the Revlon Lightweight Quiet Pro is worth considering. With a fan that is vertically mounted, this hair dryer delivers ultra-quiet performance. The fan has a centrifugal design, and to maximize efficiency, it has curved blades. 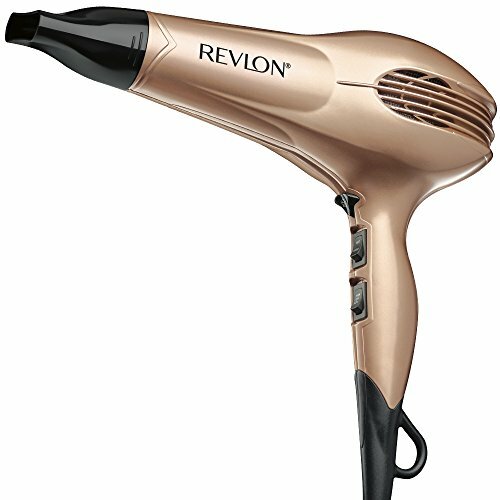 The Revlon Lightweight Quiet Pro lets you dry your hair quickly and shouldn’t wake up your partner. 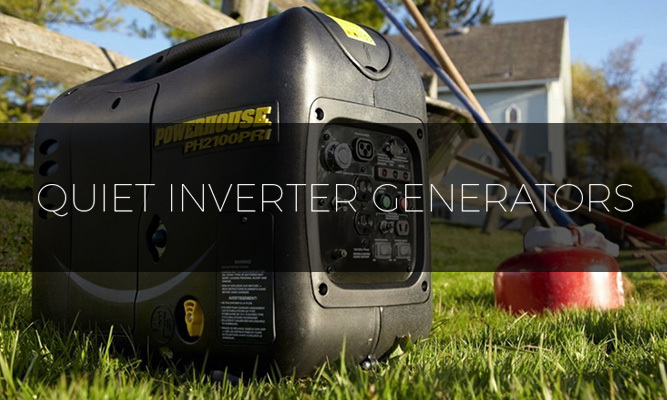 Here we have a top product from MHD, and it features a 1,875-watt motor. With this level of power, it’s able to dry hair quickly while producing minimal noise. It offers two different speed settings, and you can also choose from three different temperature settings. The MHD hair dryer uses far-infrared heat to penetrate hair from the inside, which results in less damage and faster drying. To make styling easier, this blow dryer comes with two smart attachments, and they can be used to accelerate drying, minimize frizz and add volume. With an extended power cord, this product can be used in a convenient location, which makes it much easier to obtain the perfect hair style. 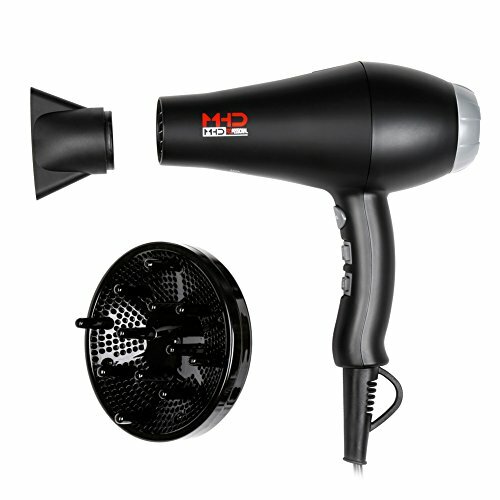 The MHD ionic hair dryer uses an AC motor and dramatically reduces the amount of time needed to dry your hair. The ionic technology creates minimal noise and makes hair shinier and softer. 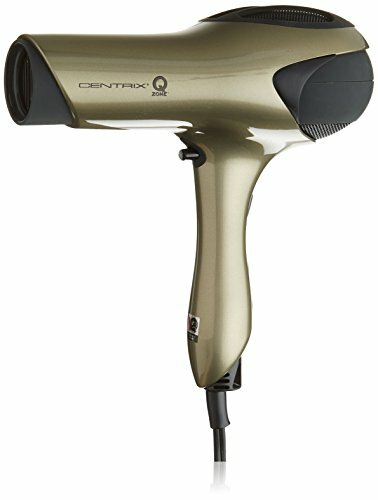 The Centrix Q-Zone hair dryer is made for salons and produces minimal noise. 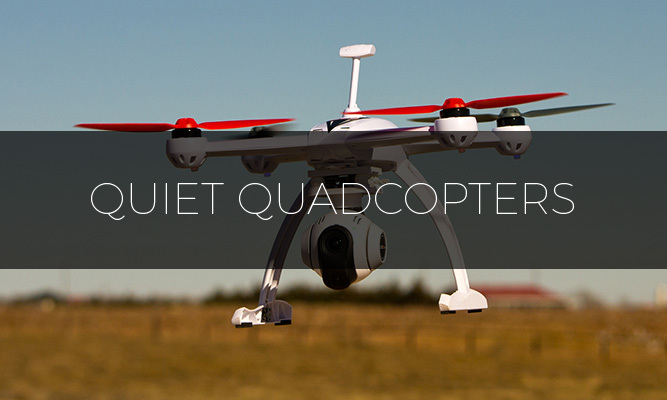 It uses a high-performance, two-speed motor and can deliver dual cool shot positioning. This product is lightweight and comes with a concentrator accessory. When compared with most other blow dryers on the market, this product is much quieter. To give you healthier hair, it uses ceramic tourmaline heating technology, and the ionic technology helps to reduce drying time. Unlike many other hair dryers, this product doesn’t produce the high-pitched sound that many hair dryers are notorious for. 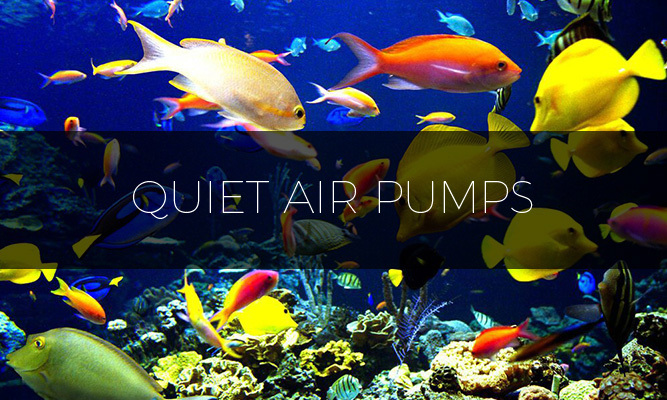 When used on the lowest speed, it’s very quiet, and the high speed doesn’t profoundly increase the noise level. Since the sound produced by this product has a low pitch, it doesn’t cause major discomfort. When it comes to blow dryers, Conair is an industry leader. The Conair 1,875-watt ionic hair dryer offers two different speed and heat settings, and it uses a quiet motor. With 1,875 watts of power, this product is capable of drying hair quickly and doesn’t produce too much noise. To give you the option of pinpoint styling, it comes with a concentrator attachment, and for wavy or curly styles, you get a diffuser. This Conair ionic hair dryer has a hang ring, which makes storage easier. If you’re looking for a quiet blow dryer that can be used to create any hair style, the Conair Turbo Styler is worth considering. 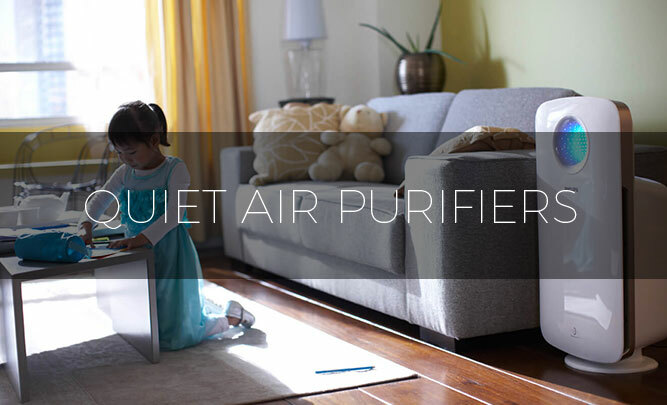 It uses natural ions to reduce frizz and generates plenty of heat with a quiet motor. 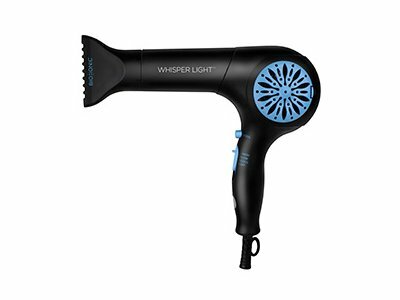 The BIO IONIC Whisper Light hair dryer is powered by 1,400 watts, and it’s capable of preventing frizz while increasing shine. It uses nanolonic minerals to hydrate damaged, dry hair, and it’s very effective for controlling frizz. The BIO IONIC Whisper hair dryer features ultra-quiet operation and comes with a long power cord. Since it uses hybrid mineral technology and emits natural negative ions, it’s capable of hydrating and sealing your cuticles. The end result is faster hair conditioning and drying. The brand that creates this product was founded by a hair stylist, so it’s one of the top choices for professional stylists. The VAV blow dryer uses negative ions to break apart the water molecules within your hair. As a result of this powerful technology, the amount of time needed to dry your hair is dramatically reduced. This hair dryer offers two speed settings and three heat settings. With a variety of settings, you can find the perfect temperature for your hair. Since it has a cool shot button, you can use this blow dryer to lock your hair into a specific style. It’s made with a salon cable and features a DC motor. 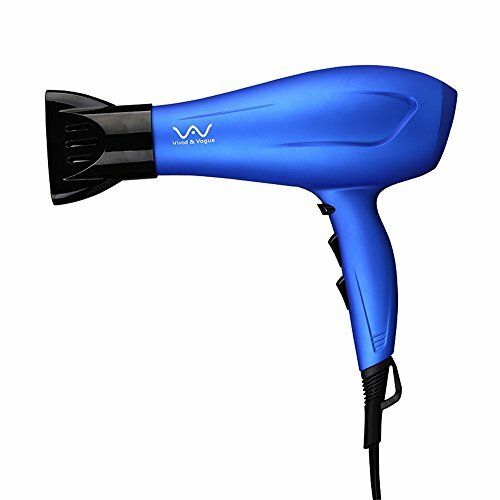 The VAV blow dryer has a lightweight design, so it can be comfortably held for long periods of time. 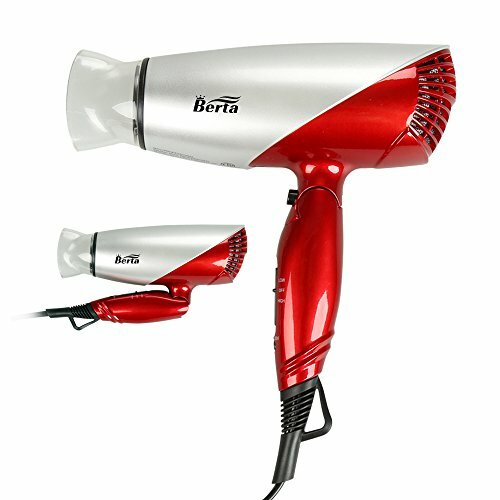 The Berta professional blow dryer uses dual voltage and has a folding handle. It’s an excellent product for frequent travelers because of the folding design. To dry your hair, it uses tourmaline ceramic technology, and the natural ionic output counteracts the effects of frizz while bringing out your natural shine. With two speed and heat settings, it offers enough variety to customize your hair treatment. If you want to set a specific hairstyle, you can use the cool shot button. The power cord has a length of 1.8 meters and works well in salons. With 1,600 watts of power, the Hot Tools Professional 1069S is strong enough to dry hair quickly, and it’s quiet enough to preserve your ability to hear. It offers two different speeds, and you can choose from six different heat options. This hair dryer is lightweight and has a soft grip. Since it comes with two attachments, you shouldn’t have any trouble creating your favorite style. 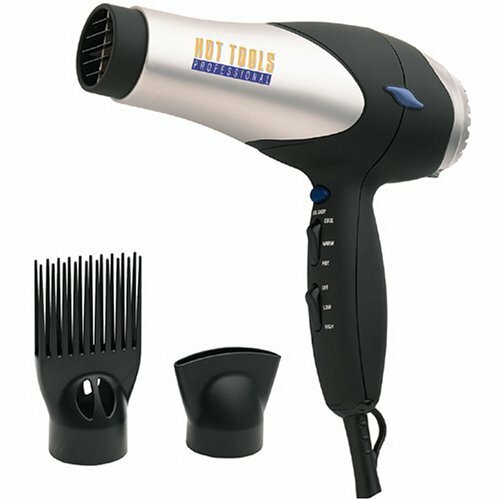 For convenience, the Hot Tools Professional 1069S hair dryer comes with an eight-foot swivel cord, and it even has a removable lint filter. The Andis Micro Turbo blow dryer uses 1,600 watts of power to dry hair. It’s a great choice for global travelers because it features a dual voltage design. It offers two different air and heat settings, which gives you better control over your results. The motor and fan components are designed for quiet operation and have lifeline shock protection. With a compact design, this hair dryer is great for homes, hotel rooms and salons. 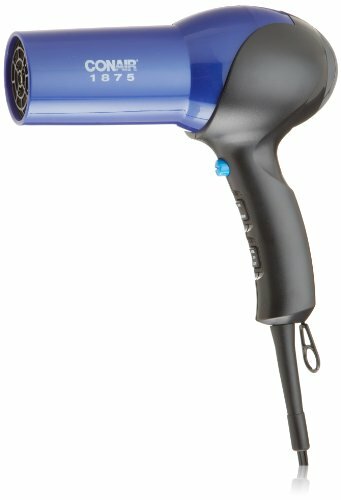 If you’re planning a trip to Europe, this blow dryer is a convenient product to own and worth considering. This particular hair dryer is under 75db. I’ve tested it myself. If you think it’s loud then that’s all that matters really. 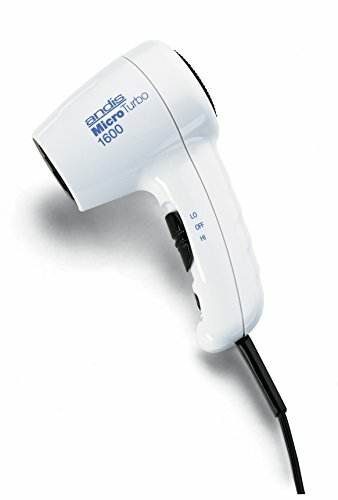 You’ve done the right thing and taken it back, but in my opinion and from my tests that I have done, this is a lot quieter than most hair dryers on the market. What more is that it’s 10 decibels under the level of what we would call “loud” for a hairdryer. Again I’m sorry for the inconvenience that you have suffered, but this really isn’t quiethomelab’s fault. As I said, 75db is what I consider to be a lot less quieter than most hairdryers on the market. I am simply listing the quietest hairdryers that I have tested and that are well below the 85db level that I consider to be acceptable to use on a daily basis. This is not a website owned by the manufacture nor is it a scam page. You are wrong. Go get a life.